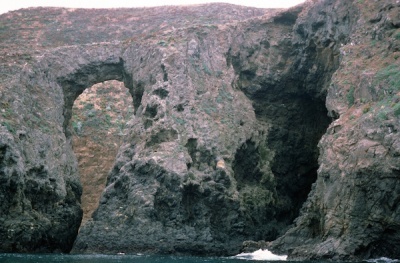 Keyhole Arch, Anacapa Island is a 100-foot high arch on the north side of Middle Anacapa Island. Adjacent to Keyhole Rock immediately to the west is an unusual two-level cave, 539 feet deep, named Keyhole Cave by Phil C. Orr of the Santa Barbara Museum of Natural History. This page was last edited on 19 August 2017, at 10:33.